Rachel L. Farley was the consummate “cool” teacher at East High School. In August, she allegedly invited students over to her house where they smoked weed together. 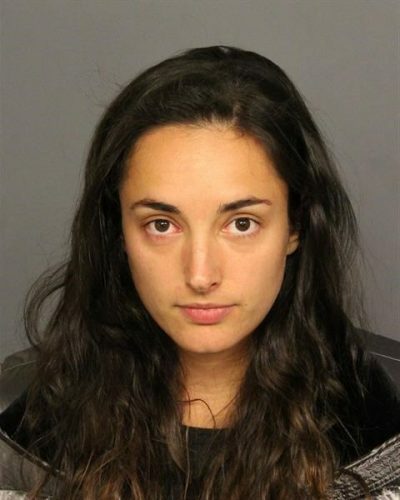 Denver police didn’t think her plan was so cool. Early Tuesday morning, officers arrested Farley, a former East High teacher, for investigation of a felony charge of contributing to the delinquency of a minor. Farley was booked into the jail at 6:52 a.m. Tuesday. Her advisement is scheduled for 1:30 p.m. Wednesday in Denver County Court, according to court records. The pot smoking incident happened on Aug. 8, 2017, at Farley’s home at 1609 Glencoe St.
Farley, then a math teacher, had invited students from her Advancement Via Individual Determination class to her house to decorate clothing for freshman day. A student left for a while and when she returned, Farley and the other students were smoking marijuana, according to an arrest warrant affidavit. Farley provided the marijuana to the students, the report says. Denver police Det. Christopher Matlock interviewed nine students who had been at the party. Multiple students admitted they smoked marijuana at the party. The students were 17 years old, the report says. “The students all stated separately that the suspect provided the marijuana and introduced it to the group to smoke,” Matlock’s report says. The officer showed pictures of Farley to the students, who identified her as the teacher who gave them the marijuana. Farley resigned on Aug. 31 to be a dance instructor, according to her Facebook page. She subsequently volunteered to work at East High with drama and music teachers, DPS spokeswoman Jessie Smiley said Wednesday.